A former campaign aide for President Trump, one of 81 people to receive a request for documents this week from the House Judiciary Committee, has already informed the committee that he has no records responsive to their inquiries and he does not plan to testify in front of the panel. 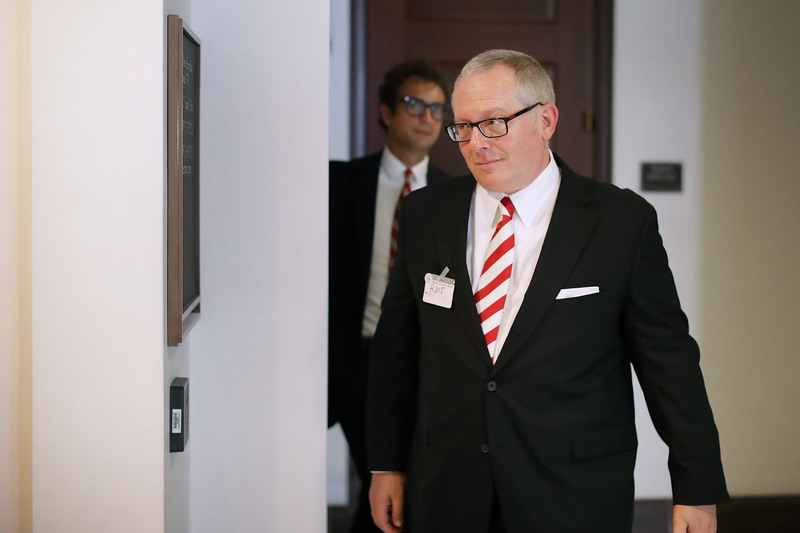 The letter from an attorney for Michael Caputo, who worked for Trump during part of the 2016 campaign, represents the first skirmish in what is likely to be broad resistance from Trump aides and associates to new inquiries issued this week by the Judiciary Committee. Caputo told The Washington Post that he has already begun talking with four other Trump associates who received requests from the committee this week to begin a joint strategy of resisting requests for testimony. “All four are reluctant to appear because they believe it’s a perjury trap designed to move toward impeachment of the president,” he said. Many of those who received the requests this week have already been interviewed by the House and Senate intelligence committees, as well as special counsel Robert S. Mueller III. But the Judiciary Committee, which has the power to impeach the president, has launched its own wide-ranging probe of Trump campaign aides, business associates and family members as part of what Chairman Jerrold Nadler (D-N.Y.) said was a way to explore whether the Trump administration has abused its power. Nadler took control of the committee in January with the new Democratic majority in the House. Caputo attorney Dennis C. Vacco indicated in the letter that a committee staffer asked whether he would be willing to testify in front of the committee, a request that has not yet been made publicly of Caputo or other potential witnesses. Vacco wrote that he told the committee lawyer that Caputo would not commit to appear, given that he already testified in front of other congressional committees. “We see no reason why the House Judiciary Committee cannot obtain the transcript of Mr. Caputo’s testimony” from the House Intelligence Committee, Vacco wrote. A spokesman for the committee declined to comment on Caputo’s letter. A person familiar with the exchange said there was no formal request for Caputo’s testimony but only a casual conversation between Caputo’s lawyer and committee attorney Barry Berke. The Judiciary Committee blitzed dozens of Trump associates with broad requests this week, rather than issuing targeted questions at individuals. The committee asked Caputo, for instance, to produce documents related to a June 2016 meeting at Trump Tower between Donald Trump Jr. and a Russian lawyer. Caputo did not attend the meeting and, according to his attorney, has no documents about it. It also asked him to produce records related to any Russian government contact with a long list of other Trump aides and associates. His attorney again indicated he had no responsive documents to the request. The committee, however, did not ask Caputo about his communications with Trump adviser Roger Stone, with whom he is close. Nor was he asked about his contacts with a Russian national who contacted him in May 2016 to offer information about Hillary Clinton in exchange for money. Stone met with the man at a Miami-area restaurant, but discussions ended after he asked for $2 million for his information. Caputo and Stone have alleged that the man was working for the FBI.